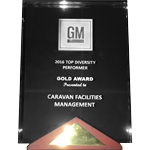 Caravan Facilities Management was established in 1997 as a Certified Minority Owned Business Enterprise by the Michigan Minority Supplier Development Council (MMSDC). 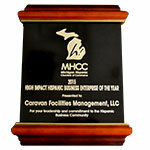 Over the years we have established ourselves as one of the facility management industry's fastest growing firms, as well as one of the top performing MBE's in the state of Michigan. 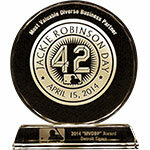 Vision: Diversity is the heart of our business. We strive to create a work environment that provides all our associates equal access to information, development and opportunity. By building and inclusive workplace environment, we seek to leverage our team of associates which is rich in diverse people, talent and ideas. We see diversity as more than just policies and practices. 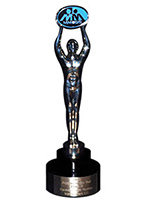 It is an integral part of who we are as a company, how we operate and how we see our future. Mission: Recruit, develop and retain the best talent to contribute to our business. As a global business, our ability to understand, embrace and operate in a multicultural world – both in the marketplace and the workplace – is vital to our adaptability and sustainability. 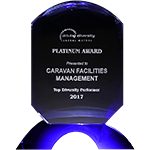 Caravan Facilities Management will mirror the rich diversity of the marketplace we serve, and will be recognized for our leadership in Diversity, Inclusion and Fairness in all aspects of our business. Objective: Leverage the diverse ideas, talents and capabilities of our organization, resulting in increased morale, higher productivity and maximum value for our customer. Attract and retain a diverse workforce that values and prioritizes respectful language, honors cultural traditions and addresses the emerging needs of under-represented groups of employees.